Iezzoni JC, Ewton A, ChÃ©vez-Barrios P, Moore S, Thorsen LM, Naritoku WY: Selective pathology fellowships: diverse, innovative, and valuable subspecialty training. Arch Pathol Lab Med 2014, 138:518-525.http://www.ncbi.nlm.nih.gov/pubmed/24678683. DOI: 10.5858/arpa.2013-0454-SA. Naritoku WY, Alexander CB, Bennett BD, Black-Schaffer W, Brissette MD, Grimes MM, Hoffman RD, Hunt JL,Iezzoni JC, Johnson R, Kozel J, Mendoza RM, Post MD, Powell SZ, Procop GW, Steinberg JJ, Thorsen LM, Nestler SP: The pathology milestones and the next accreditation system. Arch Pathol Lab Med 2014, 138:307-315.http://www.ncbi.nlm.nih.gov/pubmed/24576024. DOI: 10.5858/arpa.2013-0260-SA. Argo CK, Iezzoni JC, Al-Osaimi A, Caldwell SH: Thiazolidinediones for the treatment in NASH: sustained benefit after drug discontinuation? J Clin Gastroenterol 2009, 43:565-568.http://www.ncbi.nlm.nih.gov/pubmed/19318980. DOI: 10.1097/MCG.0b013e31818f4fc2. Fujii H, Ikura Y, Arimoto J, Sugioka K, Iezzoni JC, Park SH, Naruko T, Itabe H, Kawada N, Caldwell SH, Ueda M: Expression of perilipin and adipophilin in nonalcoholic fatty liver disease; relevance to oxidative injury and hepatocyte ballooning. J Atheroscler Thromb 2009, 16:893-901.http://www.ncbi.nlm.nih.gov/pubmed/20032580. Kassel R, Cruise MW, Iezzoni JC, Taylor NA, Pruett TL, Hahn YS: Chronically inflamed livers up-regulate expression of inhibitory B7 family members. Hepatology 2009, 50:1625-1637.http://www.ncbi.nlm.nih.gov/pubmed/19739236. DOI: 10.1002/hep.23173. Schmitt TM, Bonatti H, Hagspiel KD, Iezzoni J, Northup P, Pruett TL: Carcinoid of the bile duct bifurcation. 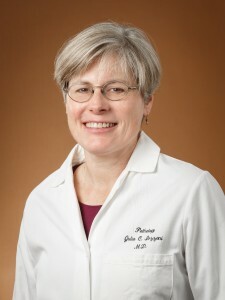 J Am Coll Surg 2008, 206:399. http://www.ncbi.nlm.nih.gov/pubmed/18222400. DOI: 10.1016/j.jamcollsurg.2007.10.013. A current list of Dr. Iezzoni’s journal publications can be obtained from PubMed.